So here’s the track responsible for the rift between Consequence and Pusha T, where Cons expressed that he felt Pusha jacked the chorus on “Last Supper” and used it for his Fear of God single, “My God”. It’s also the first release off the upcoming Movies On Demand 3 mixtape coming later this year. 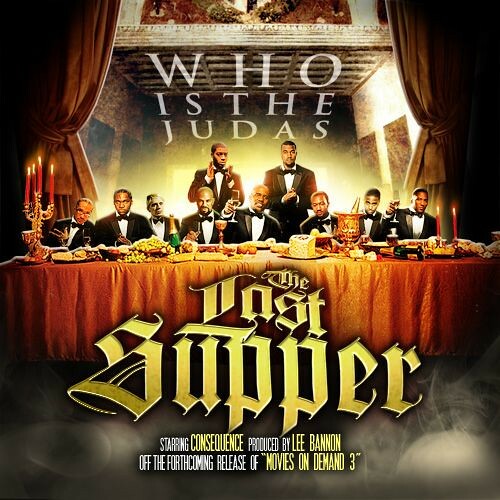 More from Maino, N.O.R.E., Sheek Louch, and Da Brat feat. Jermaine Dupri and Dondria, after the jump…. The second release in two days from Sheek Louch titled “Bi-Polar”, courtesy of DJ OP. I like Con’s and all but…damn. This track is not on par with My God. I’m partial too them both! Cons track has more lyrical content whilst Push’s track gots original riddums. Love em’ both! i love chante but she need to come harder than this. are you serious?